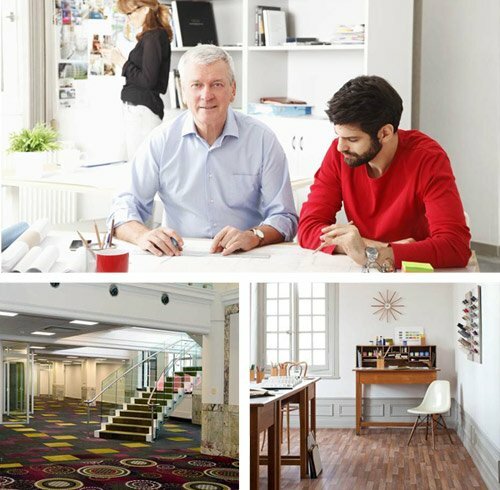 Small or large business – from the boardroom to the store-room we can tailor professional floor solutions to create an engaging work environment. Whether you have a need specific to a niche small business or want to wow clients visiting your premises we understand how to help you make the right first impressions and create spaces that your team will enjoy working in. Our experienced team have a long track record of providing flooring solutions for the education sector and can help you with the right advice, create custom designs (that are as clean and simple or as complicated as you like) and manage your project end to end. We’ll work with you to create a sense of space that reflects your business personality.